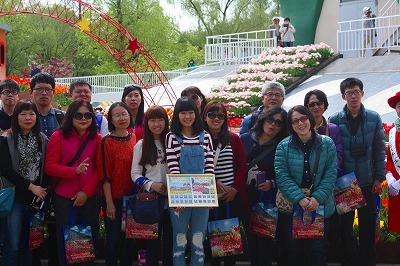 2016 fiscal year 10,000 Taiwanese people visited! 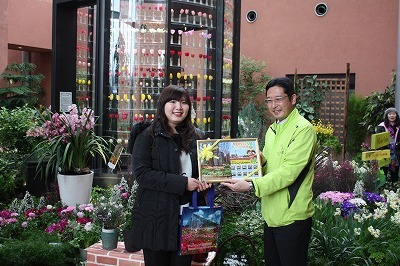 We started “YOKOSO TONAMI CAMPAIGN”from December 2014 and have been making effort to have Taiwanese people visit Tonami Tulip Gallery. 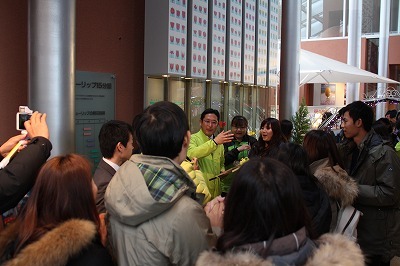 April 2016,Taiwanese tourist totaled 10,000 people from “YOKOSO TONAMI CAMPAIGN” started. And this time 6 February 2017,Taiwanese tourist totaled 10,000 people in 2016 fiscal year! So,we presented for the 10,000th visitor. Thanks to many people visited for the duration of Spring Festival,we could have more than double people visit as compared with 2013 fiscal year. We will do our best that more people enjoy tulips!. 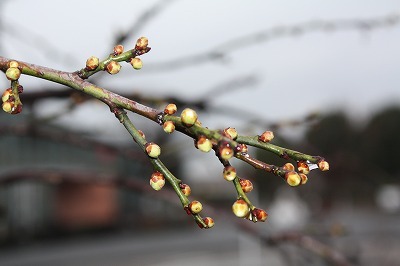 The white plum seem to come into flower soon. 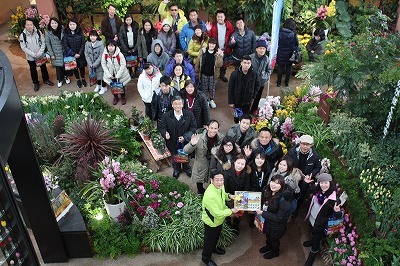 Held opening of Tulip display in Chiayi city,Taiwan. 2010 TONAMI FLOWER AND GREENERY FOUNDATION All Rights Reserved.